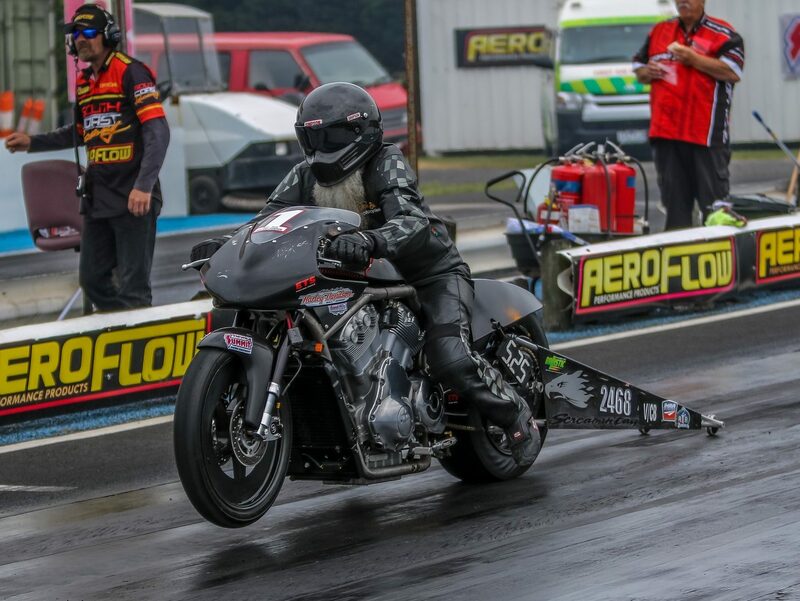 The South Australian racer is preparing to make his debut in the Top Fuel Motorcycle bracket in the 19/20 racing season and says he is feeling confident heading into his final Summit Racing Equipment Sportsman Series hurrah. Heading to the ANDRA Grand Final, which will be held at the Perth Motorplex across April 6 and 7, Rickard is tied on the maximum points for the Competition Bike bracket alongside fellow heavy-hitters Rob Cassar and David Willis. “I am not feeling any pressure heading into the ANDRA Grand Final. It is just another day at the office and I am feeling pretty confident about it all – you have to be confident,” Rickard explained. “The championship isn’t weighing on my mind, but of course it would be fantastic to take it out and a real good buzz ahead of our move to Top Fuel Motorcycle. “There is some pretty stiff competition in the category and some of the West Australian guys are real sharp shooters, but I am 90 percent confident we will be able to take it out – you can’t have any negative thoughts heading to something like a Grand Final. While he may be feeling confident, Rickard and his crew still have plenty of work ahead of them before success on the track will be found next weekend. “We will have a lot of work to do to the bike the day before we race, we have left it over there after the Westernationals where we had a lot of trouble getting traction and then it caught fire in the burnout box so that put me out of the final,” Rickard said. Rickard thanks Rickfield Truck Repairs, Nikki Zak and Dan Lesnock Performance Engines who he calls “the god of V-Rods in Australia” for their support.